She is awarded the degree by a university near Los Angeles. ORANGE, Calif. — A Southern California university has awarded an honorary degree to the mother of a quadriplegic student after she attended every class with him and took his notes while he pursued his Master of Business Administration. 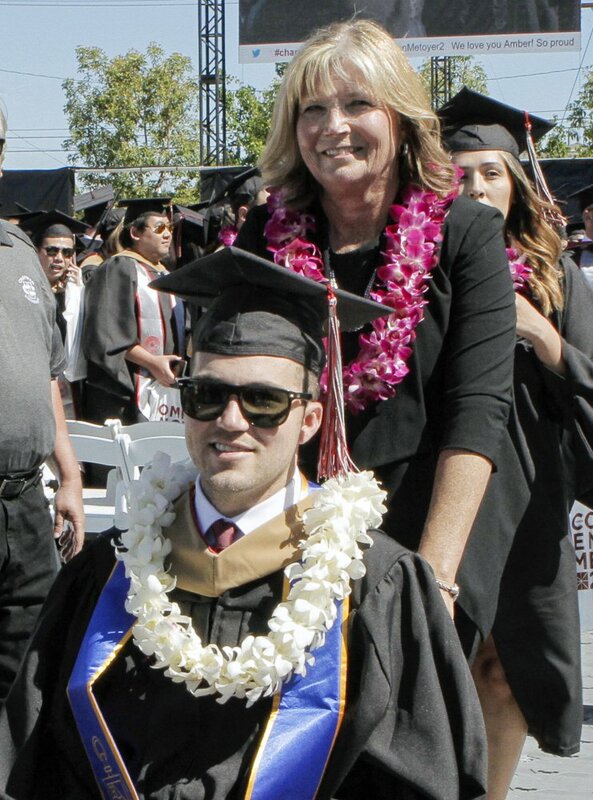 Judy O’Connor, a retired elementary-school teacher, pushed her son Marty in his wheelchair for him to receive his degree during commencement Saturday at Chapman University in the Los Angeles suburb of Orange. Then, a choked-up graduation announcer said the school’s faculty, administrators and board of trustees had decided to give her an MBA. The idea for the surprise honorary degree came from her son. 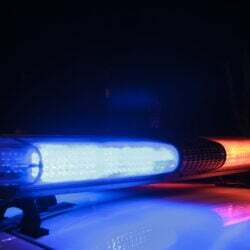 Marty O’Connor received an undergraduate degree from the University of Colorado and was working as a salesman for a packaging industry company in 2012 when he fell down a flight of stairs and was paralyzed. His mother was living in Florida but moved to Southern California to help her son earn his MBA. He uses an iPad, laptop, voice-recognition software and a special mouth stylus to communicate but could not take notes or write the answers to tests. So his mother did.